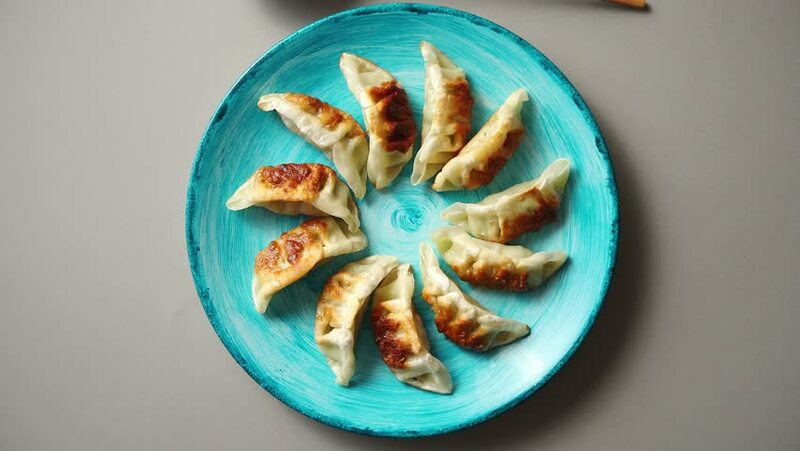 Traditional asian dumplings Gyozas on turqoise ceramic hand painted plate served with chopsticks and bowl of soy sauce over grey texture background. Top view with copy space. 4k00:30Traditional asian dumplings Gyozas on turqoise ceramic hand painted plate served with chopsticks and bowl of soy sauce over grey texture background. Top view with copy space.